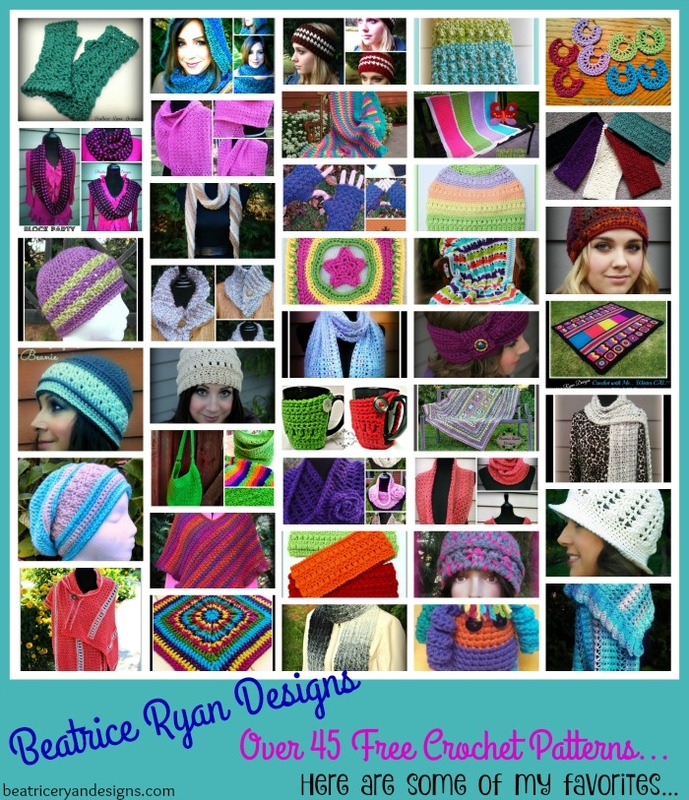 Beatrice Ryan Designs… Over 45 Free Crochet Patterns!! If you haven’t checked out my Free Crochet Pattern Page… I have now have 45 Free Crochet Patterns including Headbands, Hats, Scarves, Shawls, Fingerless Gloves, Baby Blankets, Totes and Home Accessories!! Many of these Free Crochet Patterns are from my Amazing Grace Free Pattern Series... Dedicated to Breast Cancer Awareness!! And on my Crochet With Me ~ Crochet A Long Page... I have designed 2 full size afghans!! More Free Patterns coming very soon!!! Like many of you know,,, My Grandmother Beatrice Ryan Ramshaw was the one who taught me to crochet 40 years ago… I thought it would be fun to show you one of her blast from the past Afghans… She was such an avid crocheter… Mastering both yarn and thread techniques!!! I often wonder what it was like to crochet for her… She was born around the turn of the century… and lived until 1997… The materials she must have learned with would have been hard to come by… She lived in a remote area of Northern Canada until the 40’s… But even when she moved to the United States and settled in Northern California,,, I think yarn and patterns would have been so much different from what we have now!! This week the Afghan I am sharing was made for my favorite Great Aunt Velma… Velma was her sister-in-law, who also came to the United States in the 40’s… They were great friend too!! I was blessed enough to inherit this afghan after Velma passed away about a decade ago… I was amazed how well this beauty held up over the years… My best guess is that Beatrice made it in the 70’s. Amazingly this is one of the softest Afghans I have… I was a little surprised, many of the acrylic yarns during that time were pretty scratchy and rough! It definitely is a treasure! Well, there you have a Throw Back Thursday Crochet treat!!! What about you… Do you have any Throw Back Treasures?? The countdown is clicking away!! Christmas is two weeks from tomorrow... Are you ready?? 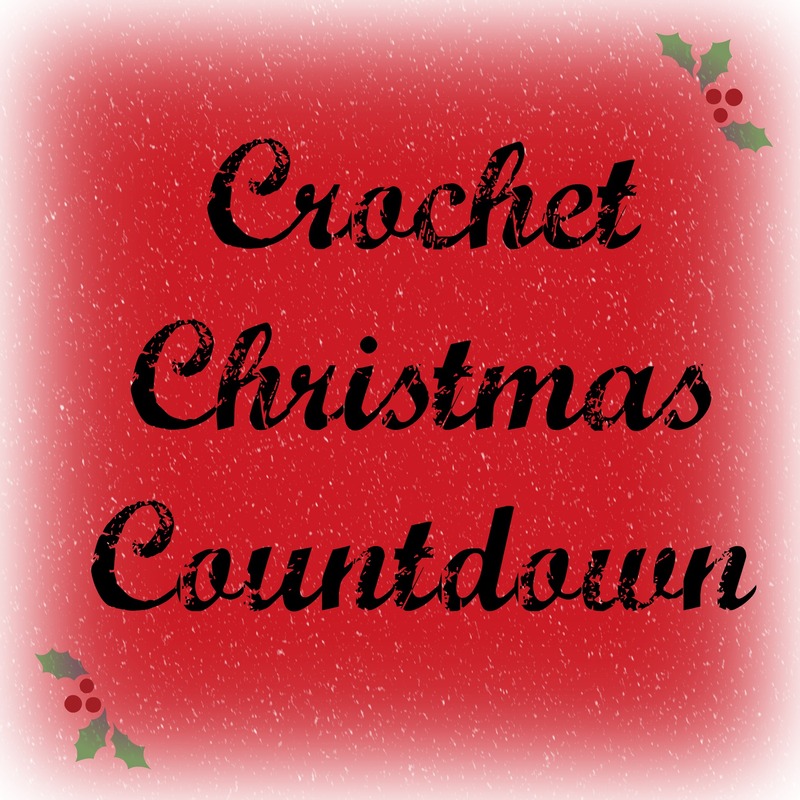 Weather you are Professional Crocheter or a Hobbyist, this is the busy season for all of us!! * If making multiples of the same project, I like to time myself (Yes, I know its is a little OCD), Then I will know how long it will take to finish the batch! * When making larger projects like Afghans and shawls… See how long it takes you to complete a row… Count how many rows it will take to complete the entire project… Divide the total rows up by how many days you have to complete your project~ This process will help keep you on track! * Stash busting… This time of year I love to use up my yarn stash… It keeps my costs down and makes room for the newest yarns coming out in the new year! * Grab all the tools you will be needing over the next couple weeks… Hooks, Scissors, Yarn Needles, Buttons and any other goodies you will need… Find a container they will all fit in and keep it next to your crochet spot… This way when your done for the evening you can put it all away and it will be waiting for you the next time you sit down to get to work… No more searching for that silly yarn needle! * Keep your yarn organized by color, weight and fiber… By doing this you will be able to find what you need when you need it!